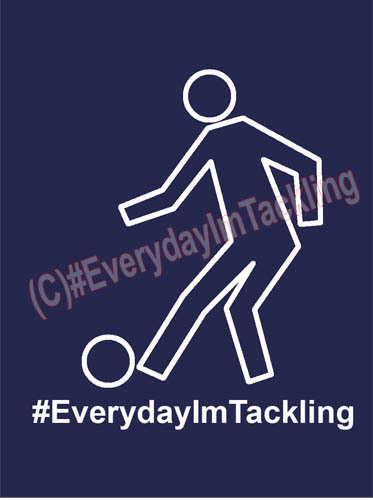 #EverydayImTackling is A fantastic fun brand inspired by "LMFAO - Party Rock Anthem - " and their line in the song "Everyday I'm Shufflin." 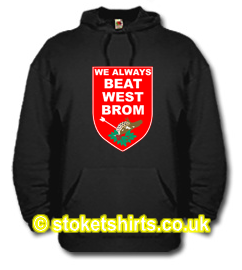 Gabs (who can be found on twitter @Gabs50Zakuani ) has teamed up with Stoketshirts.co.uk to produce these great designs. 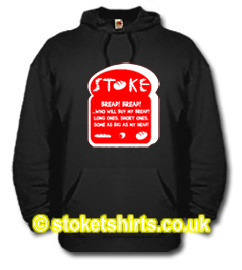 The Hoodies will be a first for Stoketshirts as we print them on the eye catching AWDis Varsity Hoodie which has a double fabric hood, the inner of which is in a contrasting colour with matching contrast flat lacecords. 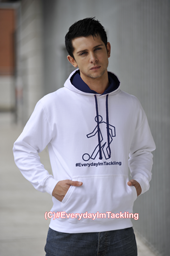 The hoodie also has a special phone/mp3 player feature - the phone can be stored in the kangaroo pocket with the headphone wires fed through hidden loops so that they are not visible when worn with the hood up.